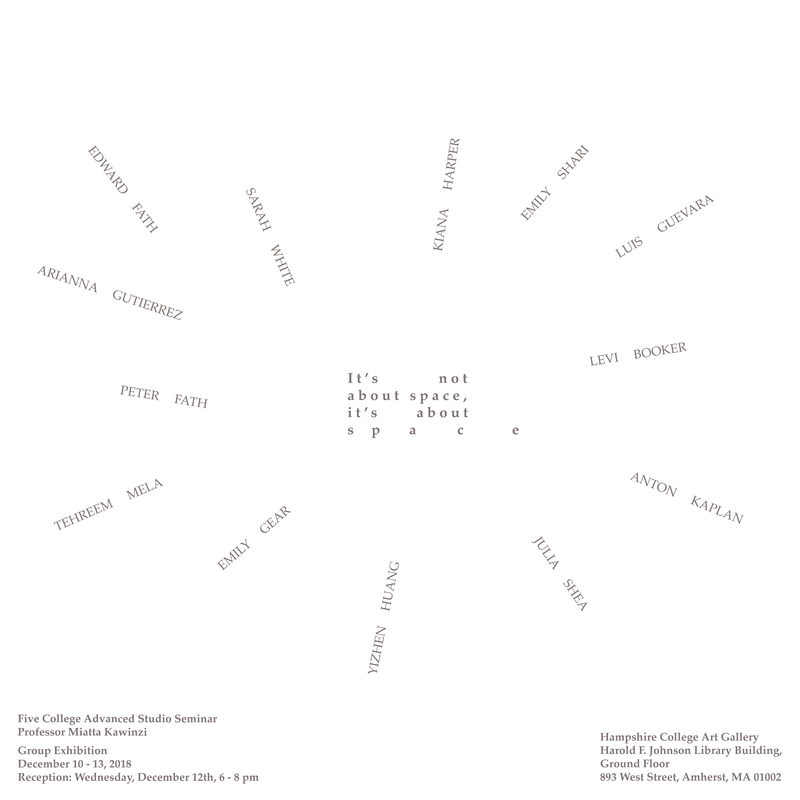 The multi-disciplinary art exhibition It’s not about space, it’s about s p a c e showcases the work of students from the Fall 2018 Five College Advanced Studio Seminar – Committed to the Idea: Conceptual Cohesion Across Mediums, taught by Professor Miatta Kawinzi at Hampshire College. It considers the concept of space as physical, social, emotional, and temporal, posing questions that suggest divergent narratives and open up s p a c e for new interpretation and exploration. Artists: Levi Booker, Edward Fath, Peter Fath, Emily Gear, Luis Guevara, Arianna Gutierrez, Kiana Harper, Yizhen Huang, Anton Kaplan, Tehreem Mela, Emily Shari, Julia Shea & Sarah White.